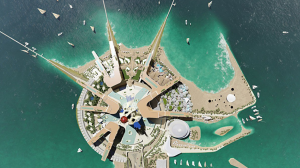 The site will occupy the longest stretch of waterfront ever developed in Dubai. His Highness Sheikh Mohammed bin Rashid Al Maktoum, Vice President and Prime Minister of the UAE and Ruler of Dubai, launched a new beachfront entertainment destination located at Jumeirah beach near Burj Al Arab in Dubai, that features MGM and Bellagio hotels. Sheikh Mohammed was accompanied by Sheikh Hamdan bin Mohammed bin Rashid Al Maktoum, Crown Prince of Dubai, Sheikh Ahmed bin Saeed Al Maktoum, Chairman of Dubai Civil Aviation Authority and Chairman of Emirates Group, and Director-General of the Department of Protocol and Hospitality in Dubai Khalifa Saeed Suleiman. Sheikh Mohammed praised the development of the project and highlighted the key components of tourism industry of the UAE which is considered as key contributor of economic diversification. Sheikh Maktoum bin Mohammed bin Rashid Al Maktoum, Deputy Ruler of Dubai and Chairman of Dubai Real Estate Corporation and Wasl Asset Management, said that all the operations of the group translate the directives of Sheikh Mohammed bin Rashid, which focus on distinction and quality, as well as creating innovative approaches during the planning phase of the group’s projects, that fall in lines with the Dubai Plan 2021 and UAE Vision 2021. Hesham Al Qassim, Chief Executive Officer of Wasl Asset Management, and Bill Hornbuckle, President of MGM Resorts International, jointly briefed Sheikh Mohammed about the different components of the resort that will contain two million square feet of built-up space, including an MGM Hotel, MGM-branded residences and a Bellagio-branded hotel containing a total of 1,000 rooms and 10 villas. There will also be a 500,000 sq. 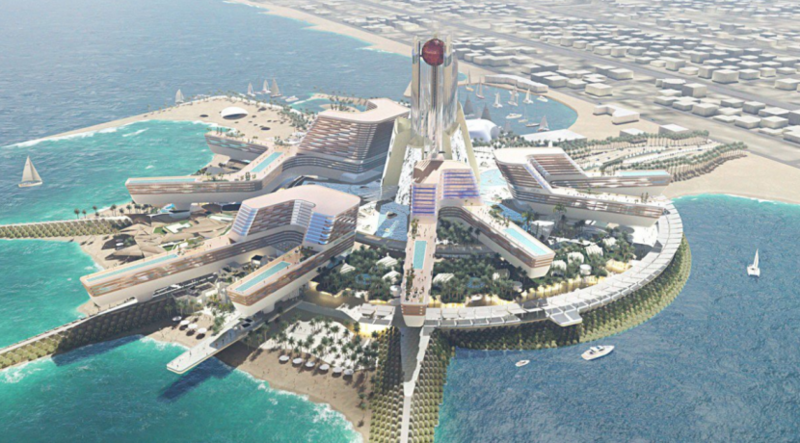 ft theatre, a range of restaurants, museums, a major beach club and adventure zones for both adults and children.